(...continued...) In my previous post, I shared tips for coaching a kids' running club or cross country team. 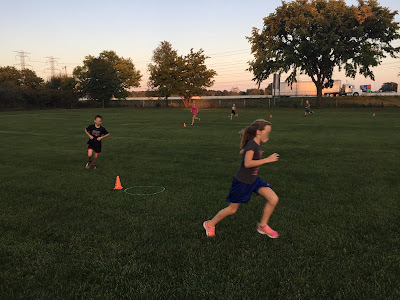 In this post, I'll share the games that my cross country kids loved playing after getting in their mileage for the day. 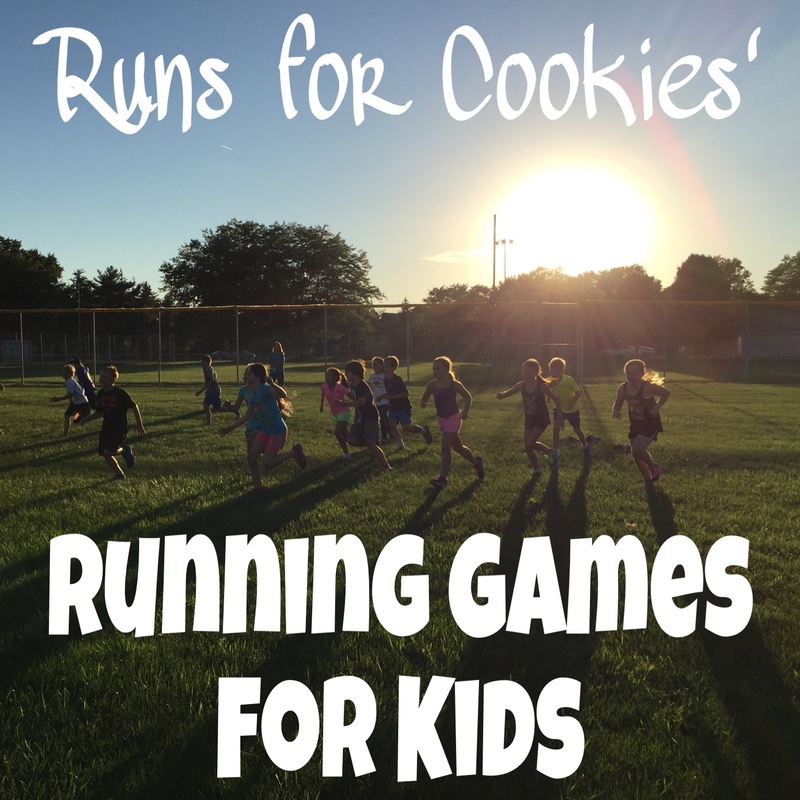 The games still involve running, but the kids don't even really realize it! I bought a Connect 4 board game, and we used that in a few different ways. There is a hill in the park where we practice, so to get them to run hill repeats, we placed all of the game pieces (the little red and yellow discs) on the top of the hill. Then we placed the game board at the bottom of the hill. We divided the kids into the yellow team and the red team (trying to make them equal based on how fast the kids were). Each team lined up at the bottom of the hill, and when I blew the whistle, the first person on each team ran to the top of the hill, grabbed one game piece, and ran back to the bottom to put their piece on the board. When they reached the bottom, the next person from their team headed up the hill. This went on until one of the teams got four tokens in a row! We usually fit in two or three rounds of this game. Another way to use the Connect 4 game is to do a relay like I wrote above, only instead of a hill, they can run a straight line or in a loop. This is a game that the kids actually taught me. Using orange cones, we set up a large rectangular play area. You choose two kids to be "sharks", who start in the center of the rectangle. The rest of the kids are "minnows", and they line up across one end of the rectangle. The goal is for the minnows to get from one side of the play area to the other without getting tagged by a shark. When I blow the whistle, the kids all run as fast as they can to the other side, and try not to get tagged by a shark. If they get tagged, they become "seaweed" and they have to sit down on the spot they were tagged. The seaweed can then tag minnows as well as the minnows run by, but they have to stay seated. You do several rounds of this until there is only one minnow left standing, who is the winner. This is basically musical chairs, but instead of putting a bunch of chairs in a circle, I put a bunch of hula hoops in a giant circle in the field. For 20 kids, we started with 8 hula hoops and we allowed 2 kids per hula hoop. When I blew the whistle, the kids would start running a circle around the circle of hoops, just like in musical chairs; and then when I blew the whistle again, they had to scramble to find a hoop to stand in. Only two kids were allowed per hoop, so the leftover kids were out. Then we took away one of the hoops, and continued. We did this until there were two kids fighting for one hoop. Last one standing is the winner. I set up a simple obstacle course for the kids to run relay-style. They had to weave in and out of cones, hop over three hurdles, jump rope five times, do a hopscotch-like thing with the hula hoops, and maybe a couple of other things that I came up with. First team to finish wins. Or, you could combine this with Connect 4, and have them pick up a token after the last obstacle and run it to the game board. This was a little different than your average scavenger hunt. I bought about 10 small buckets from the dollar store, and a large package of plastic toy food items. On index cards, I wrote down the name of each food item. Then, I placed 3-4 items in each bucket, and placed all the buckets spread across the field randomly. I divided the kids into two teams, and they lined up relay-style. I handed each kid one of the index cards with an item written on it. When I blew the whistle, the first kid from each team ran off to look in the buckets for their item (if they were lucky, it would be in the first bucket they checked; but if not, they had to keep searching). When they found their item, they ran it back to the team, and the next person took off. The first team to find all their objects was the winner. The kids are allowed to help their teammates--if the first kid, for example, saw the banana in one bucket and knew their teammate was going to be looking for it, they could tell their teammate what bucket the banana was in. I bought a few packs of Matching Game cards from the dollar store (the deck consists of cards with pictures on them, and each card has a match). I would have the kids run their laps and collect ONE card after each lap (without peaking at the cards). They were divided into two teams, and each card they collected was put in a pile for their team. Once all the cards were gone, the teams got together to see how many matches they made. The team with the most matches was the winner. The kids learned that the faster they ran, the more laps--and therefore, more cards--they would get. This game is for a hill, but you could modify it for short sprints on flat ground, too. I bought two bags of marbles--one blue and one green. The blue marbles were worth 1 point, and the green marbles were worth 3 points. We placed a bucket with all the blue marbles halfway up the hill, and a bucket with the green marbles at the very top of the hill. We divided the kids into two teams of equal ability, and when we blew the whistle, all the kids run at the same time up and down the hill, picking up one marble at a time and returning it to the bottom of the hill. 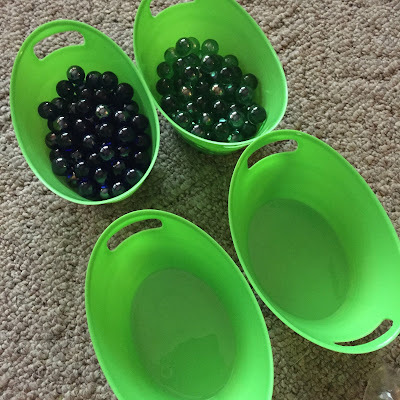 They could choose to get the 1-point marbles and only have to go halfway up the hill, or they could choose the 3-point marbles by going to the top of the hill. At the end, we totaled the points for each team, and the team with the most points was the winner. Speed workouts for kids are pretty much the same as for an adult. The kids' races are short (about 1-1.3 miles), so I gave them short sprint workouts for speed. I always liked seeing the kids to speed workouts, because they would leave just dripping in sweat! Sprints: Set up two cones about 50 meters apart. If you have a large group of kids, you may want to separate them into "waves" that start about 10 seconds apart so that they aren't getting trampled. When you blow the whistle, the kids sprint as hard as they can from one cone to the next. Then, they turn and walk back to the first cone. Repeat 5-10 times, depending on how hard it is for the kids. My team was whipped after doing just five, so we usually did 5-6. Fast Finish Runs: The kids run their usual laps, but on the last lap, they run as fast as they can get it done without stopping or walking. This teaches them to finish strong on tired legs. Time Trials: We only did a time trial on Day 1 and at the end of the season, but you can do them periodically in place of speed work. It's basically like racing, so they're pushing themselves to the max. Loops with Speed: Instead of a short sprint with a short walk after, we would have the kids run their laps, but whenever they got to a particular cone, they would sprint to finish out that lap; then, do an easy run for another lap until they got to that cone again.This has a longer recovery period between sprints, but they should jog between sprints instead of walk. Animals: I made little signs, each with the name of one of four animals on it--turtle, pig, horse, or cheetah. I put the signs on cones that were set up in their loop where they run laps. Turtle means walk; pig means jog slowly; horse means run steady; and cheetah means sprint. Each time they came to a cone, they would have to run like the animal on the cone. Out of all the speed work, I think the kids liked the Animals workout or the plain old Sprints workout the best. Actually, they hated the sprints, but they did mention how much they love the way they feel when they're done. 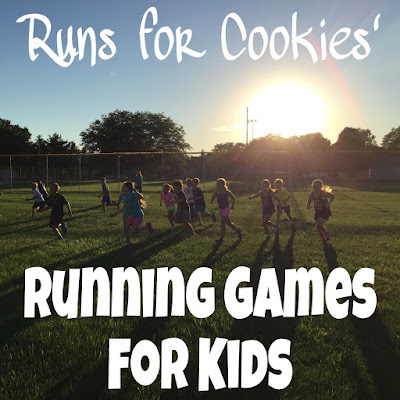 I may use these running games for myself! I need ways of keeping running fun and activity exciting! Awesomesauce! My daughter is 14 and wants to coach little kids cross country. We're co-coaching middle-through-high schoolers this spring for 5k's and in the fall she's hoping to coach the little ones on her own.